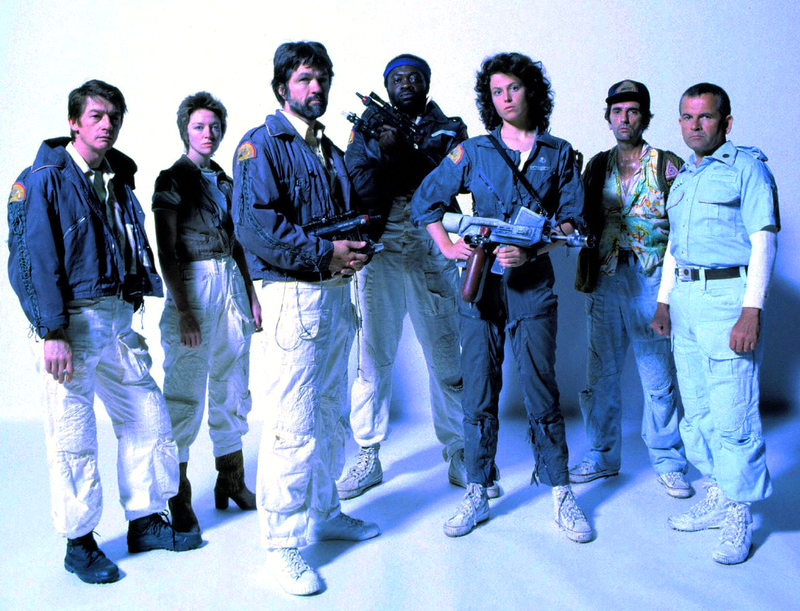 She's Fantastic: Alien ReAction ELLEN RIPLEY! Few things in the action figure world have made me as giddy and nostalgic as Super7's amazing ReAction line. This is literally a concept I have been hoping for since I began in this hobby 12 years ago. For the uninitiated, or those living in a cave, ReAction is a line of modern action figures done in a vintage style. To make it an even sweeter deal, this initial Alien series is made from original unproduced prototypes from the late 1970s. The future series are not derived from actual prototypes, but they stay very true to the vintage style. Upcoming waves I'm especially excited about are Firefly, Terminator, Pulp Fiction, and Universal Monsters. 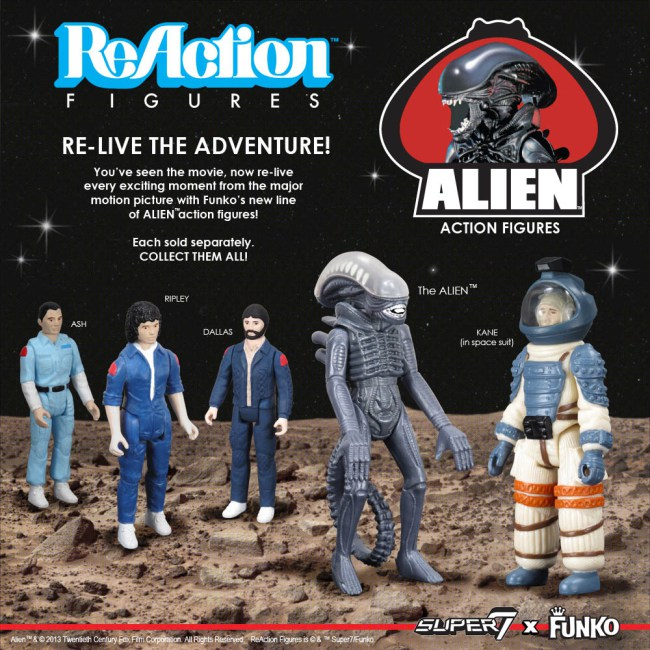 After the initial solicitation of the Alien line (at $20 each), Super7 formed a partnership with the fine folks at Funko for the production and distribution of ReAction Figures. This meant lower prices and the chance to actually find them in a brick and mortar store. I'm sure access to Funko's numerous licenses was a huge added bonus as well. 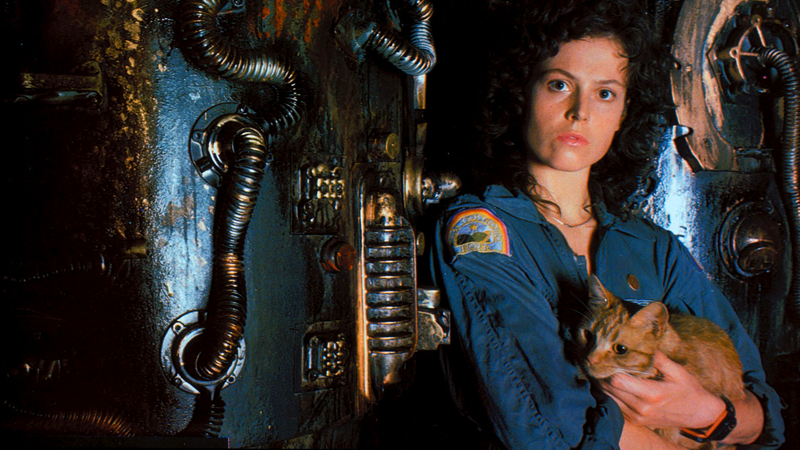 Let's check out this retro Ripley below! I love the name "ReAction" - it's a perfect branding for this line. Here is Ripley with a vintage Kea Moll figure from Droids. these are so GREAT- love! I know! I'm even excited to buy a bunch of boy figures like the Goonies gang and Rocketeer. Hopefully they get more real prototypes to work with. I've always wanted to see that Dark Crystal series with the baf crystal be made. I'd die if they make the rest of the crew. Can't wait for Neca's versions too. Huge Alien fan here. Of and Jones, let's not forget the cat! I wouldn't be surprised if we got some figures from Aliens. Newt would be horrible (I only say that because children in vintage toy lines ususally look frightening). As for now though, I'm excited about having Ripley next to Sarah Connor on my shelf... two of my favorite badass sci-fi ladies. You ever going to do a review of the aliens? They are technically of the female gender. very very good point. Next time I see one I'll pick one up. Probably at WizardWorld in a few weeks.